Monthly Evening Classes in The New Forest 19.30-21.00 - contact me for details. Qoya Fund Raising Nights - gathering women to dance Qoya and raise funds for various causes. Hello beautiful soul! 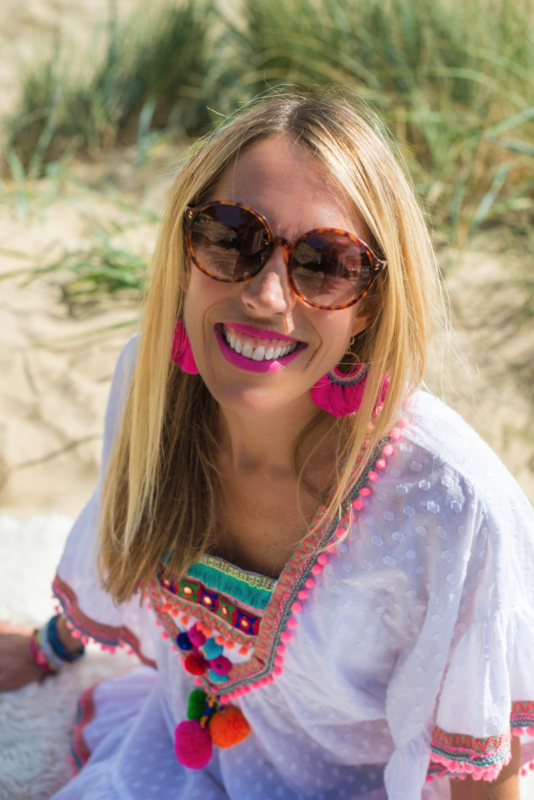 I am a free spirited Mum of 4 who lives in Poole, Dorset. I love feeling ALIVE and actively choose to live a path which keeps me tapped into the pulse of life. I sailed half way around the world with my family in 2009 and it was the best year of my life to date. I am trained in NLP and Mindfulness and am passionate in my belief that JOY is our birthright and is intrinsic to our being - the trick is to stay awake and aware enough to soak it up. Qoya was the beautiful catalyst that gave me clarity on my Soul's Purpose, which is to inspire as many women as possible to connect with their inner joy and make the most of their gift of life! I connect with women through my Qoya classes, Workshops, and Blogging, and am currently writing a book for Mammas called ‘Joyful Mothering’. My lovely Mamma died when I was pregnant with baby number 1 and from then I slowly lost sight of my true essence as I threw myself into a life which glorified busy, left me running on empty and numbing out to anything that made me feel uncomfortable. The trouble with numbing out, I now realize, is that you can't selectively numb and thus you sabotage your chances of feeling truly alive and joyful. My wish was to rekindle that life in me. It was at this stage in my life that I walked into my first Qoya class, which was a total game changer and became a weekly joy. The gift of presence in these classes gave me increased clarity about the life that I wanted - the life I am now living. A life where I feel aware, awake, energized; connected to my true essence and to an incredible network of women; where I have much more self love; where I recognise my growth through the challenging times and where I am tuned in to soak up the joy of the great times; a life where I am inspired by the both the present moment and a wonderful lifetime of learning ahead. We have this one life, and it is an honour and our duty to live it as fully as possible and light the way for others to do the same. When did you take your first Qoya class? In January 2017, under the Full Moon in a beautiful space overlooking the sea. It was love at first class and soon afterwards I booked onto a Qoya retreat in Mougins, France with the wonderful Sonja Lockyer. I have been taking weekly classes ever since and it got to the point where I simply had to train to become a teacher so I could share this beautiful practice with more women. What does it mean for you to teach Qoya? Each time I dance Qoya, I return to my true essence. Each time I teach Qoya, I witness the same in every woman in class - a return to their authentic selves, a coming home, an unveiling of truth. How liberating to arrive exactly as you are - your whole self - all light and dark elements accepted and honoured - and then leave as more of who you are - feeling more connected, rooted, lifted, inspired, energised, aware and awake than before. The power of each class seeps into life afterwards and decisions are made with enhanced clarity as you feel empowered to shape your life into it's best potential. What is your favorite song to dance to right now? 'Where we Come Alive' by Ruelle feels AMAZING to free dance to right now! What book has inspired you on the path to embodying the feminine? So many books! I love Rebecca Campbell's work - Light is the New Black and Rise Sister Rise, and her Oracle cards are heaven sent. Reveal by Meggan Watterson was huge for me and her Oracle cards and literally divine. The Qoya book by Rochelle Schieck of course. The Radiance Sutras by Lorin Roche. I still love dipping into each of these books and often use them as inspiration for class. What would you tell someone who is thinking of taking a Qoya class for the first time? Come with an open heart and prepare to be delighted - mind, body, heart and soul. There is no other class like it and it must be experienced to be believed. Join the many women who have seen the light and are incorporating Qoya as an uplifting and inspiring part of their self-care routine!